I survived Gencon, and avoided the Con Crud! 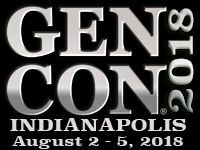 Gencon 2018 was my first time at Gencon, and only my second gaming convention after Pax Unplugged. I was nervous going into the convention, as it was a new experience for me and overflowing with people. I was lucky to meet up with some fellow fans of the One Shot Podcast network, and meeting these new people and finding old faces from Pax Unplugged made Gencon into a great experience for me. 13th Age- I played a tiefling hellsinger (bard/barbarian) named Vivan who sung with the voice of the Diabolist. She's kind of awesome. Blue Beard's Bride- A horror game that I never would have played by myself, but lucked into a great group of people that fostered a comfortable experience. Blades in the Dark- Mouse, the sneaky thief and infiltrator. Masks- M. King, the beacon who loves the stories of the Monkey King and wants to be him. He's adorable and I want to protect him forever. 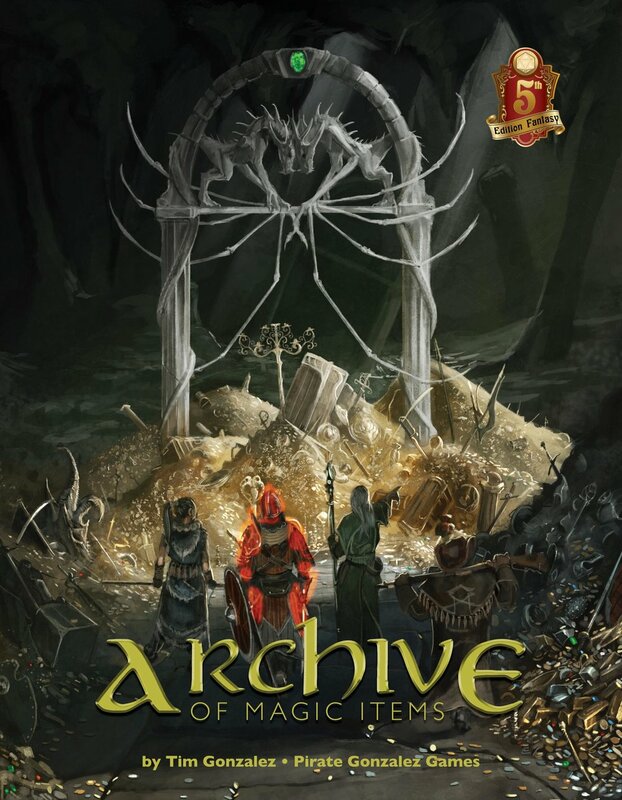 Dragon Age World- A hack of Dungeon World into Thedas, playing a goth spirit-healer elf. Fallout (Genesys): The gruff outlander traversing the mysterious land of Far Harbor. I also attended a True Dungeon, a set of escape room-like scenarios with shuffleboard combat for fighting monsters. It was fun, but my character was turned to stone and removed from the game fairly early, which made the rest of the adventure less enjoyable as I couldn’t participate. As puzzles aren’t my forte in the first place, I would probably skip the True Dungeons in the future unless I attended with friends. I was lucky to attend the Campaign Podcast live episode, which was both hysterical and bittersweet. It was a nice sendoff for the crew of the Mynoc, and it was packed with fans of the show. The performers were incredible, and it made for the most entertaining part of the convention. It's just, like, the best you guys. 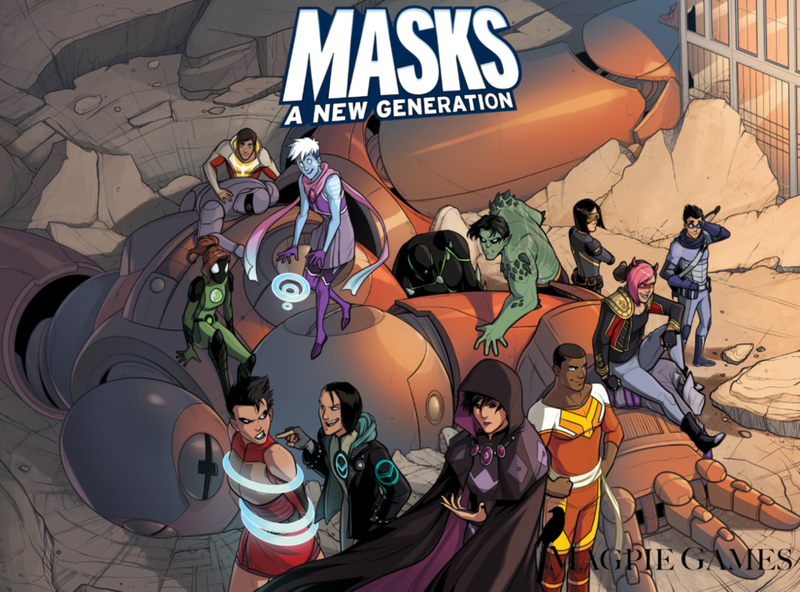 As a side note, the Masks RPG was one of the most popular topics among people I met that were into RPGs. I spent a ton of time mutually fawning over the system. Overall I was very happy with Gencon, once I got a lay of the land. Personally, the experience was much better than Pax Unplugged. Gencon had pre-registration for all events, so even though there were tons of people attending, there were few lines that I had to contend with. Contrasted with Pax Unplugged, where I only made it into one RPG game, I much prefer Gencon’s approach. I would love to go to Gencon again, and next time I hope to spend more time with the friends I made. Hopefully I'll go back soon! I'm making my first trip to Gencon! This is my 2nd ever convention, and 1st time going to Gencon. I'm nervous about going to such a big event by myself, but I'm excited to play a lot of games and hopefully meet cool people. If anyone reading this is going, have fun!